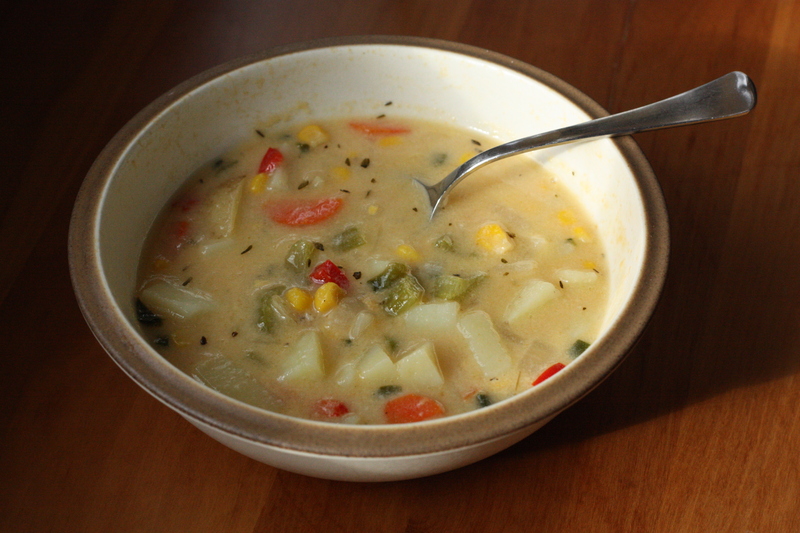 If you have ever tried to photograph soup, you will know that it is hard to make it look appealing. It usually looks like a bowl of mush, or a bowl of a solid color. No glamour, that’s for sure. But just because a food may not look great in a photograph doesn’t mean it’s not delicious. 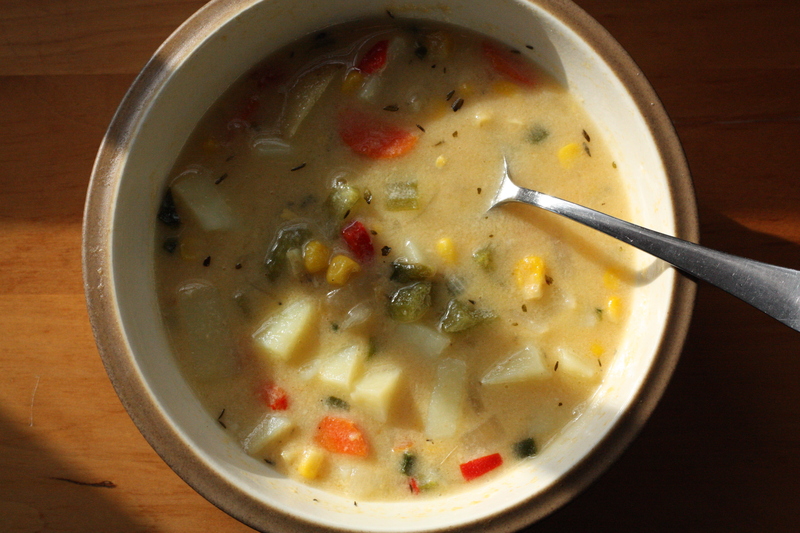 Here’s a recipe for Corn Chowder, which doesn’t involve cream but instead skim milk. I froze it, stupidly, and the leftovers were not good. 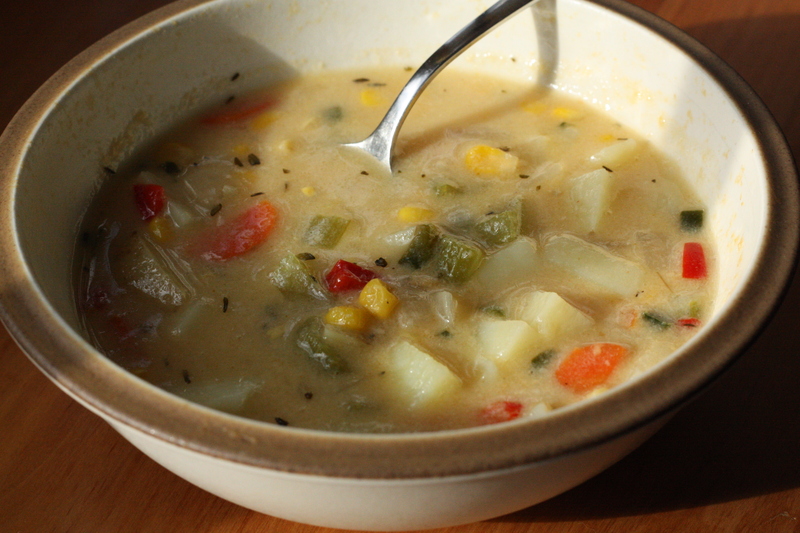 So if you try this soup out, plan on either eating it in one sitting, or refrigerating for a few days. In a large pot, heat butter at medium heat. Add onion and garlic, cook for 2-3 minutes. Add celery, carrot, peppers, and potatoes. Add vegetable broth and cook until tender, about 10 minutes. In a medium bowl, whisk flour and milk. Pour into soup pot and stir. Add corn, thyme, salt and pepper. Let soup simmer for 20-30 minutes on stove.